It's their way of saying thanks for your service. But, really, every day is an opportunity to say thank you. 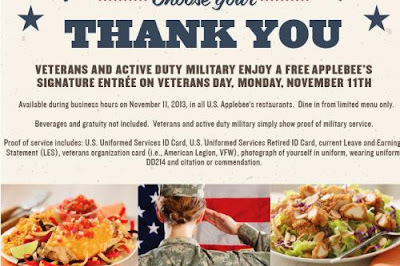 So, join Applebees in their Thank You Movement to personally show your gratitude for those who have served, or are currently serving, in our military. Click the link below to go to he Applebee's Veterans Day menu.